The movie will also have actors Juhi Chawla and Rajkummar Rao in lead roles. 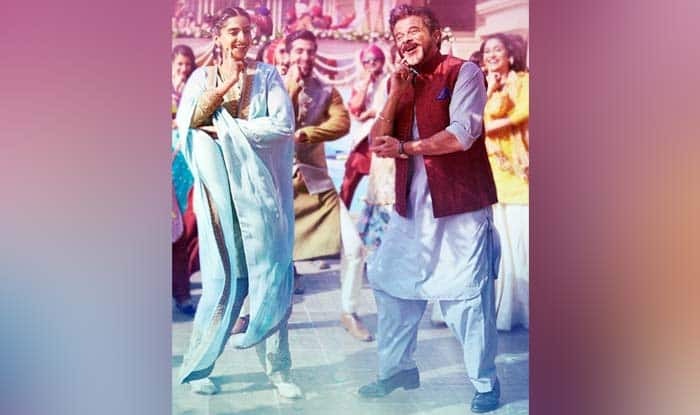 Actress Sonam Kapoor is set to hit the big screen with her father Anil Kapoor in movie Ek Ladki Ko Dekha Toh Aisa Laga, and the two have been showing some serious dance moves. The father-daughter duo, who will for the first time star together, danced their hearts out to the song Ishq Mitha from the movie, and energetic is how their synchronised dancing can be described. The new song, which was released on January 14, was sung by Navraj Hans and Harshdeep Kaur, the music was by Rochak Kohli and lyrics by Gurpreet Saini, with Mudassar Khan as its choreographer. It is a Punjabi wedding song with an altered version of a song of the same name from the 90s which had featured Jas Arora and Malaika Arora. The movie, which is a coming-of-age film directed by Shelly Chopra Dhar, also has, apart from Sonam and Anil, actors Juhi Chawla and Rajkummar Rao in the lead roles. It will also feature Regina Cassandra, Brijendra Kala and Madhumalti Kapoor in supporting roles. Produced by Vinod Chopra Films and distributed by Fox Star Studios, the film will release on February 1, 2019. Ek Ladki Ko Dekha Toh Aisa Laga is a movie about the complexities of being a homosexual in India. Sonam plays the character Sweety Chaudhary, a Punjabi girl who falls in love with another. Anil portrays her father Balbir Chaudhary, and Rajkummar as writer Sahil Mirza, who is smitten by her. Sweety’s family wants her to get married, but she has a secret that she is scared to reveal for fear she would not be accepted. Apart from the upcoming movie, Sonam is also busy with filming of The Zoya Factor, which is about a Rajput girl named Zoya Singh Solanki who meets the Indian Cricket Team through her job and becomes a lucky charm for the team for the 2011 Cricket World Cup. The movie, which is an adaptation of a novel of the same name by Anuja Chauhan, will also star Dulquer Salmaan and Sanjay Kapoor.